Some people need a little encouragement to up their game. 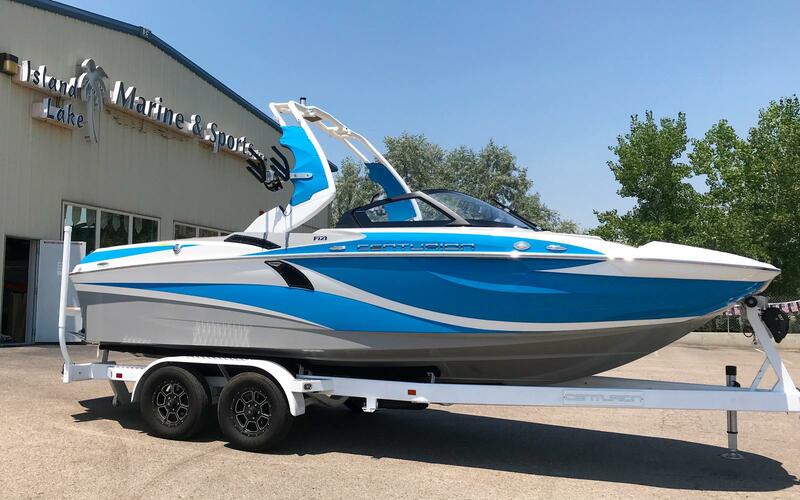 Centurion Boats introduces that encouragement for 2018 in the form of the all-new Fi21. 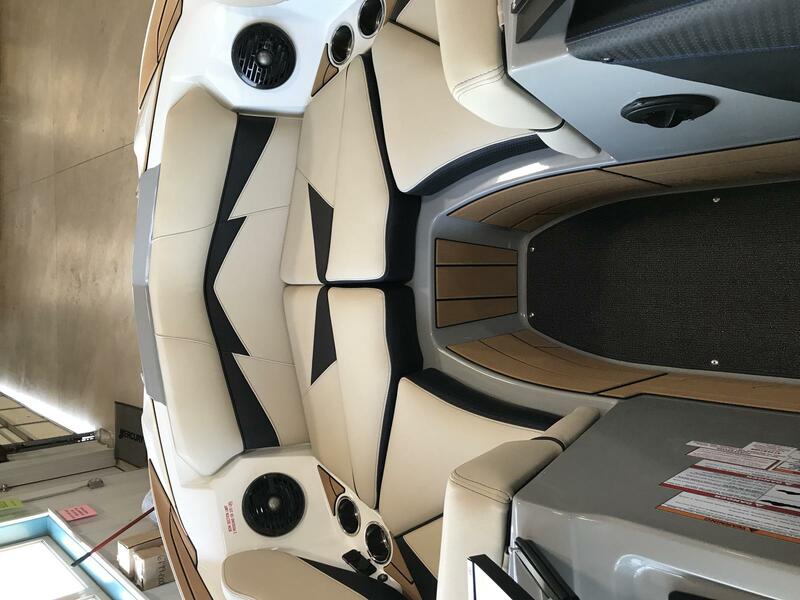 Like the Fi23, the Fi21 is a new, sleekly-styled, ultrawide bow surf and wake boat. 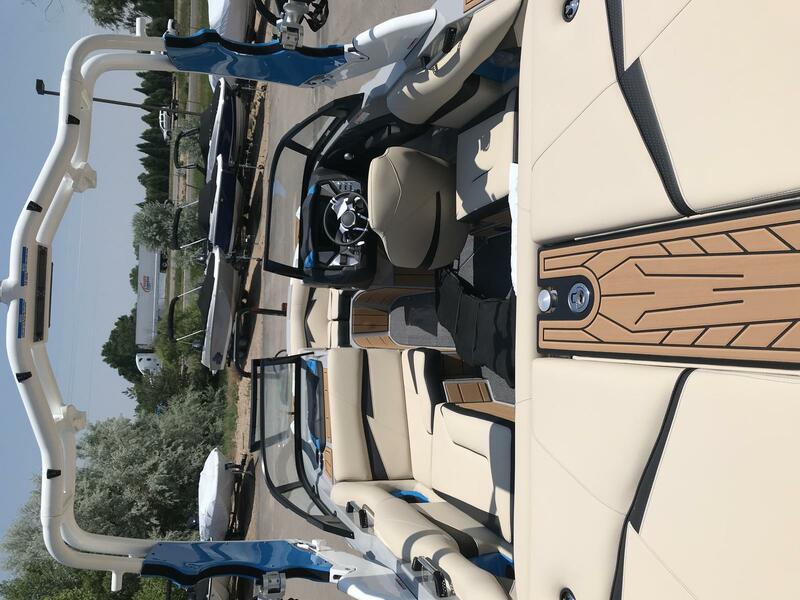 It offers Cenutrion-caliber waves, wakes and ride, in a 21-foot package at an entry-premium price. 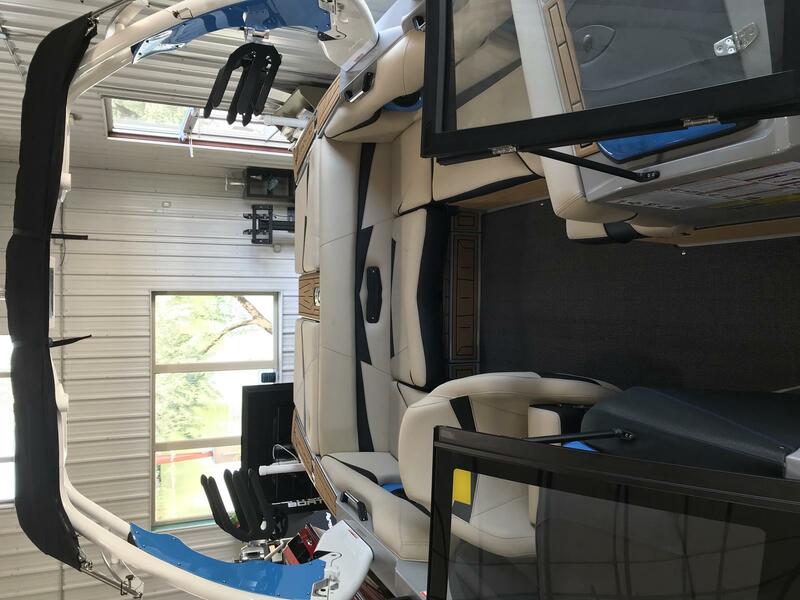 If you have longed for that premium boat experience, but have been reluctant to act on that dream, this boat offers you the opportunity to jump right in. Sports Luxury Is Not An Oxymoron: The striking look of the Fi21, with its extremely wide bow and aggressive lines, calls to mind premium exotic sports cars. From the front, the Fi21 looks wide – and it is wide. On the inside, the appointments suggest the comfort of a luxury sedan. 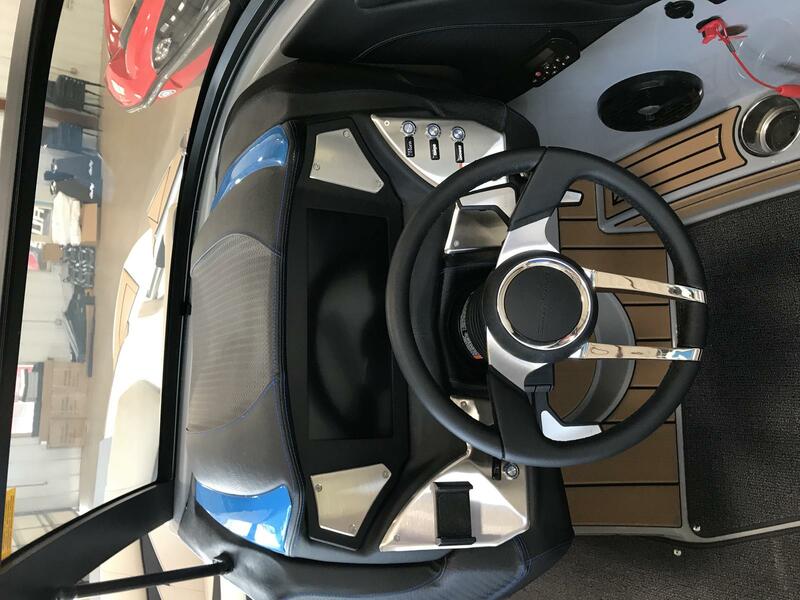 The Fi21 is built on the new, modified deep-v hull design we call the Opti-V, which mixes the maximum surf wave displacement and ride quality advantages of a deep-v with balance that creates a symmetrical wakeboard wake, superior handling and fuel economy. In other words, it’s designed for sports. 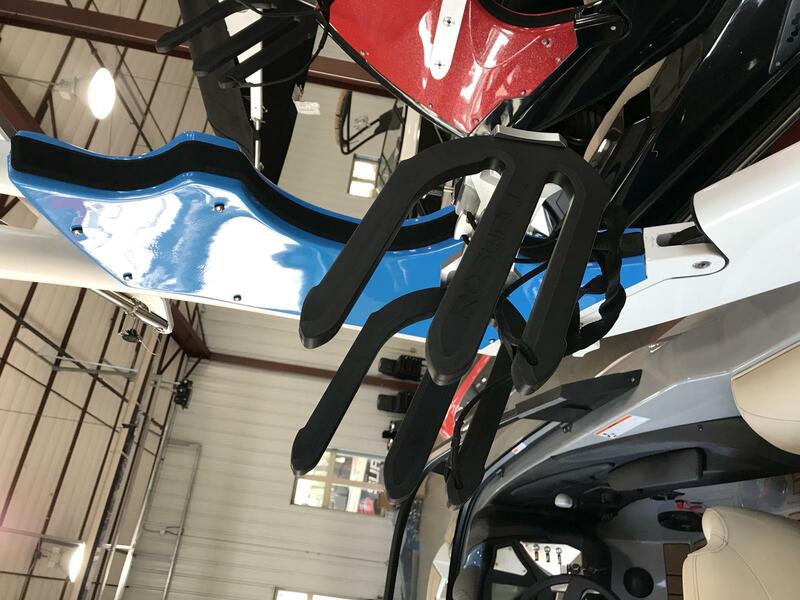 And at the new Split HD Touch Vision Dash as much as 4750 pounds of ballast can be controlled along with the 2-second transfer of QuickSurf Pro and fast flat take-offs of QuickLaunch. Available with RAMFILL the Fi21 can fill in as little as 45 seconds to create pro-level waves and wakes. And that’s a luxury. With its premium-entry price and its compact size, the Fi21 will fit your budget and your space. Its unique appearance attracts admiration, and its performance dispels the myth that looks can be deceiving. 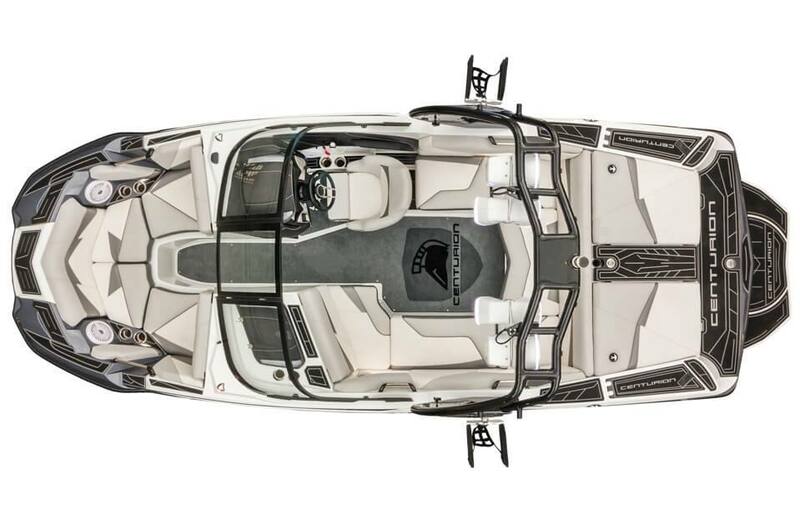 It looks like a premium sports boat and it performs like a premium sports boat. 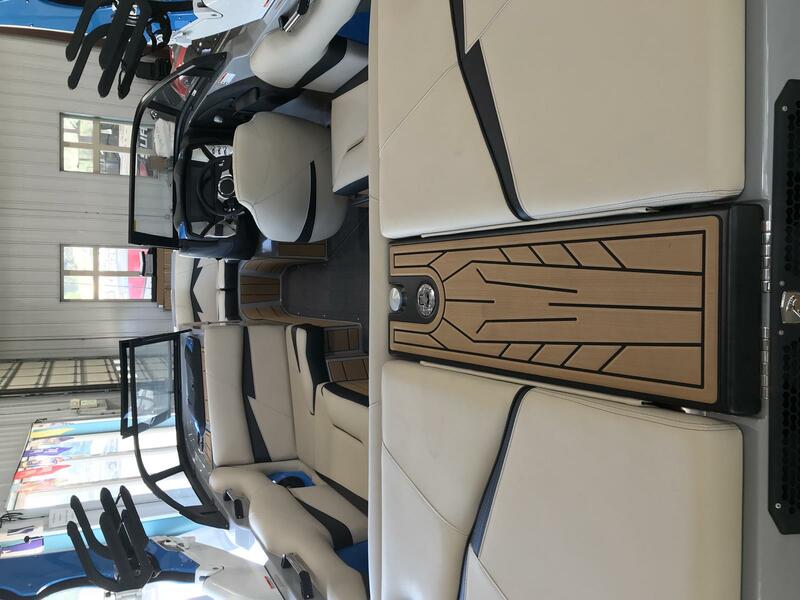 It's Good To Have Options: Because Centurion designed the Fi21 to offer an entry-premium price boat, some of the technology and luxuries that reside in the “World’s Best” Ri Series have been taken out of the Fi or made optional. Translation: add as much or as little to the package as you like. Enjoy the exuberance of the ride and the luxurious interior as it comes, or add some extras to build exactly what you want. Nothing can detract from the hours of enjoyment that will come from owning an Fi21.